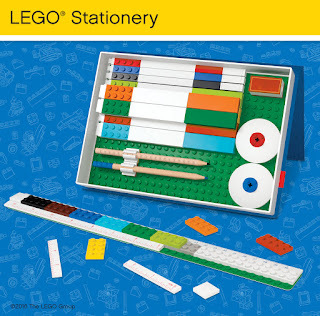 This one-of-a-kind product consists of an assortment of buildable school supplies that use LEGO elements and all work together as a system. The collection includes a colorful assortment of pencils, erasers, pens, markers, journals, organizers and buildable rulers. What's so cool about the product is that your child can build on the products and create something while learning! 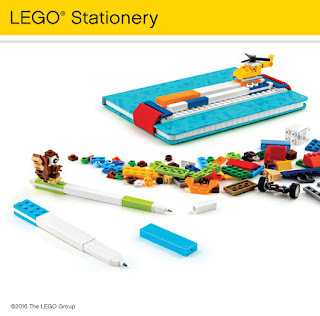 My son is a LEGO fanatic, his birthday is coming up and I can only bet that he would love this as well. It combines the joy if writing/journalism and playing with his favorite toys. He could use it to make list of his favorite LEGOs or other LEGOs he wants too! I love that it works with all his current LEGO pieces as well! If you're attending LEGO KidsFest in Louisville, you'll also be able to try them out at the show: Santoki has an activity area devoted to playing and coloring with the product line. LEGO Stationery is available at Barnes & Noble, LEGOLAND California Resort, Legoland Florida Resort, all LEGO Discovery Centers and Boxed Lunch! Disclosure: I did not receive anything in exchange for this post. In the future, I may review one of these sets.